Most of us lovers of rib hate it when the cold weather deprives us of the joy of firing up the grill outside and slapping a rack or two of ribs on it. 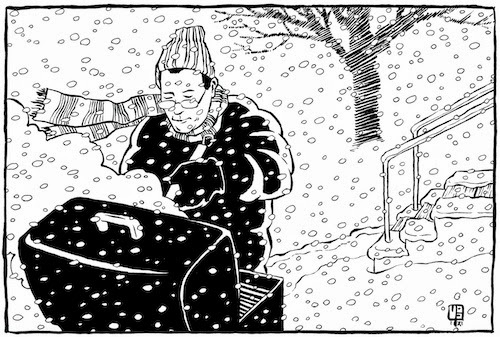 Some of us have bundled up and braved the coldness of the weather not letting it daunt our desires to cook out of doors, but many of us from the Northern regions of the country yield to Old-Man Winter and turn to baking ribs in the conventional oven. All these methods do get the job done and the ribs on the table. However, roasting ribs in a roaster oven is an easy method for getting that sweet and spicy taste of grilled ribs to our palates. This method can be used any time of the year. Lightly spray bottom of roaster oven cookwell with cooking spray. Set ribs on rack and place in preheated cookwell. Add onion, bay leaf and enough hot water to cover ribs. Cover ribs and roast for 2 to 2-1/2 hours or until meat is tender. When ribs are done carefully lift rack out of roaster oven. Then remove cookwell from main unit of roaster oven and slowly pour out hot water and discard onion and bay leaf. Replace cookwell and preheat to 425ºF. Place ribs in large zipped lock plastic bag. Add your favorite B-B-Q Sauce. Shake until sauce covers ribs. Remove lid and lightly spray cookwell with cooking oil. Place ribs on rack. Set rack in preheated cookwell. Cover and roast 25 to 30 minutes or until sauce is set and edges begin to brown. Hey! Calling all Freshwater Fish Lovers! Do you love your Mollies? Well, head on over to Amazon.com for the limited sale on Seachem Brackish Salt, 4 kg / 8.8 lbs. As you should know this is not sodium chloride. It is a natural combination of different salts created from where the river, lake and sea water meet. Brackish Salt is not only beneficial to mollies but platys, swordtails and most bottom feeding and algae eating catfish. Normally, Seachem Brackish Salt, 4 kg / 8.8 lbs cost around $63.37, but today and for a short time it is $34.18. At other retail stores it can be higher. Believe me, this is a huge saving on the Brackish Salt, 300 g / 10.5 oz size, which is selling for $12.48. You can see the math. This recipe is a tribute to my Mom. She passed away in the early 70s from Uterine Cancer and before my children were born. However, I still miss her greatly. Mom really liked cooking. So I guess this is why I do too. My brothers and I really loved her spaghetti, and on spaghetti night by the end of supper the cooking pots were empty. Mom made her own spaghetti sauce and she never put Oregano or Italian seasoning in it. As kids we never knew why and we never knew most spaghetti sauces were made with them. What Mom used was Thyme, and so I grew up using it also. I love mom’s recipe. However, while the basic recipe is the same I have updated it a little over the years. 1. In Large skillet cool ground beef (or chicken if you prefer it) until brown. 2. Remove beef from skillet and set aside. 3. Add all veggies, except mushrooms, to skillet and cook into onion are slightly translucent. 5. Add seasonings, beef, and veggies to large sauce pan with tomato sauce and diced tomatoes. 6. Bring to a hard boil about 7 minutes, stirring constantly. 7. Then reduce heat to a slimmer for 30 to 45 minutes. 8. Stir occasionally to prevent sticking to the bottom of pan. 2. Add 2 teaspoons of salt. 3. Bring to a hard boil of high heat. 4. Reduce heat to medium setting (6) and add Thin Spaghetti. 5. Cover and cook at the reduce setting for 6 minute. 6. Remove from heat. Drain and rinse until somewhat cool. 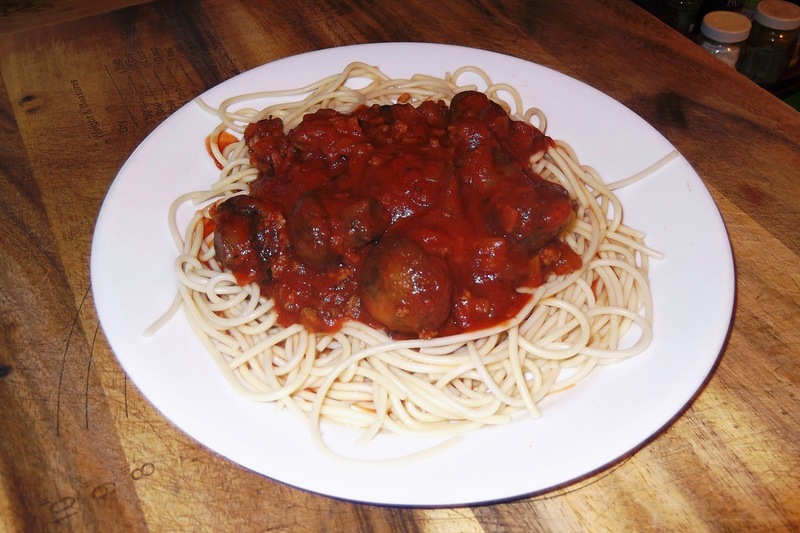 Serve Spaghetti with sauce on top with French bread, buttered hard roll or Texas toast. You can also serve with a small side salad. Sauce is even better the second day. Special Note: Never mix the Spaghetti and its sauce in a pot together. It seems kind of sacrilege, and this is not Spaghetti Os. Tip: If you keep a quarts size bag of chopped onions, green pepper, garlic and celery in the freezer, you can skip Step 3. Just measure off 2 cups of the frozen veggies and rinse the frost off, drain of as much of the excess water as possible, and then add to the sauce pot. I generally keep two quart size bags of the stuff. I use this method on days that I am under the weather or in a rush to get a meal on the table. These baggies are also good to have on hand for other recipes that call for this mixture of veggies. Pssst! My Spice Sage is having a sell on their top spices. If you want to try them out some new and interests spices check them out. 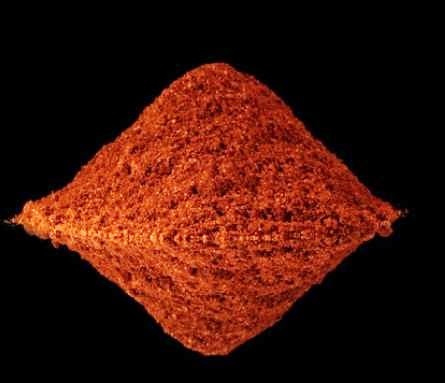 Best Sellers Super Sale, Up To 75% Off Top Spices &Ingredients! What’s in Momma Evelyn's Teacup? A Fabulous Ashley Stewart Clearance Sale! Hair! Hair! Hair! Great & Glorious Hair!